One of the fun aspects of using a Leica is the ability to walk around at night and capture images without needing to set up a tripod and hope that something interesting happens around you. All these photos were taken in the wee hours of the night, which is certainly not as common a setting as the daytime. 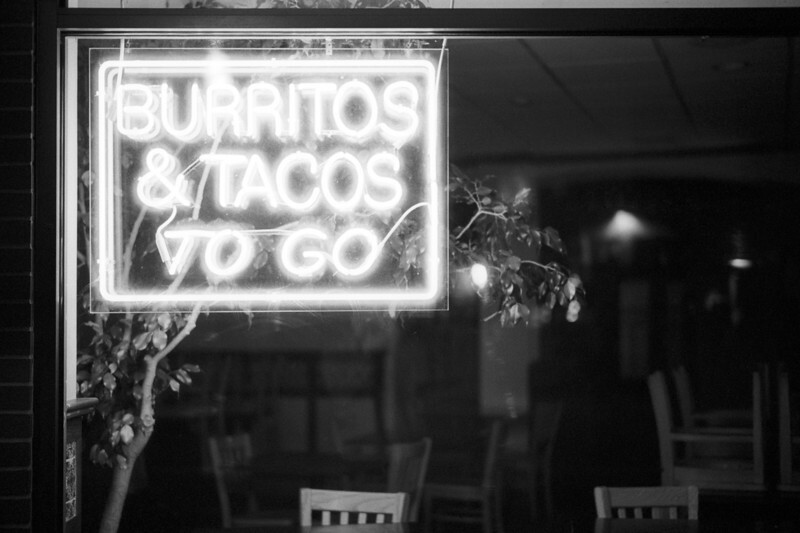 Anna's Taqueria - It doesn't really make a lot of sense that the sign for this local burrito place was an well after midnight.